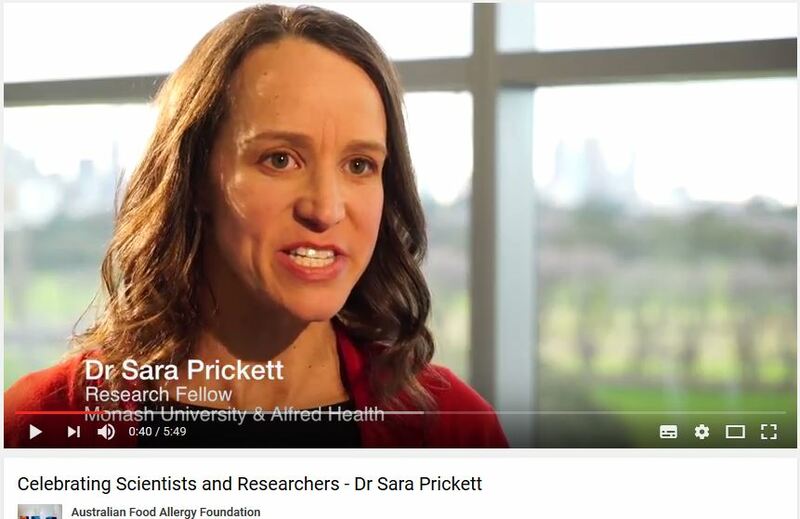 Dr Sara Prickett talks about allergy research and how she got into it (via parasitology!). In May 2006 the Australian Food Allergy Foundation (AFAF) was created to fund Australian scientific research into food allergies and anaphylaxis. This presentation, part of a series, highlights the world leading Australian research enabled by AFAF grants during our first ten years. Dr Sara Prickett joined Monash University / Alfred Health as result of a grant from the foundation. Sara joined the allergy team led by Professor Robyn O’Hehir AO and Emeritus Professor Jennifer Rolland, which has created a world-first peanut allergy vaccine. With the vaccine now on the path to commercialisation through Aravax they are confident of a major global breakthrough in the treatment of peanut allergy once clinical trials begin. Boyd BJ, Galle A, Daglas M, Rosenfeld JV, Medcalf R. Traumatic brain injury opens blood-brain barrier to stealth liposomes via an enhanced permeability and retention (EPR)-like effect. J Drug Target. 2015;23(9):847-53. doi: 10.3109/1061186X.2015.1034280. Epub 2015 Jun 16. Among the six most deadly antibiotic-resistant bacteria in the world, Acinetobacter baumannii targets the sick and elderly in hospitals. Now, researchers from Monash University have uncovered a way to effectively turn the patient’s immune system into an assassin against this lethal invader. 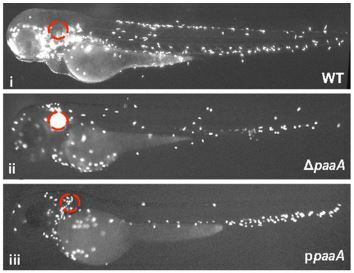 Led by Professor Anton Peleg, head of the Department of Infectious Diseases in Monash’s Central Clinical School and lab leader in the Biomedicine Discovery Institute, the research team developed a zebrafish model which allows scientists to study real-time interactions between immune cells and the deadly bacteria A. baumannii during infection. 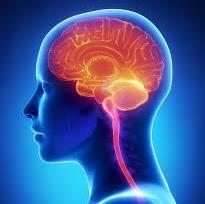 The blood-brain barrier (BBB) allows what is needed to nourish the brain and keeps out potentially dangerous, neurotoxic cells. When a person experiences traumatic brain injury (TBI) the BBB opens for a brief period of up to six hours after injury. Monash researchers have discovered that a small lipid sphere called a liposome - normally excluded from the brain - accumulates in the injured side of the brain during this window. 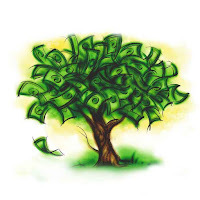 Grant and funding opportunities as notified from the Monash Research Office and with thanks to the Biomedicine Discovery Institute for compiling linked summaries. Deadline dates provided. D. S. Rosengarten Surgical Trainee Research Prize 2016 is now open for applications. About the D.S. Rosengarten Surgery Prize. The photo gallery of the 2015 event. The prize consisting of a shield and $1000 will be awarded for the best surgical research project performed by an Alfred Hospital surgical trainee. "A well-designed trial derives its credibility from the inclusion of a prespecified, a priori hypothesis that helps its authors avoid making potentially false positive claims on the basis of an exploratory analysis of the data. 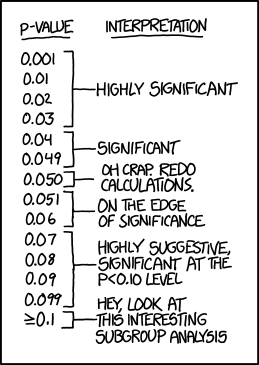 Nevertheless, an unreasonable yet widespread practice is the labeling of all randomized trials as either positive or negative on the basis of whether the P value for the primary outcome is less than 0.05. This view is overly simplistic. 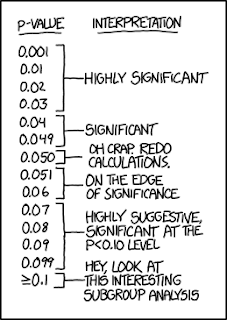 P values should be interpreted as a continuum wherein the smaller the P value, the greater the strength of the evidence for a real treatment effect."